Wake up the side of your house, garage or garden wall with this gorgeous trellis planter box. 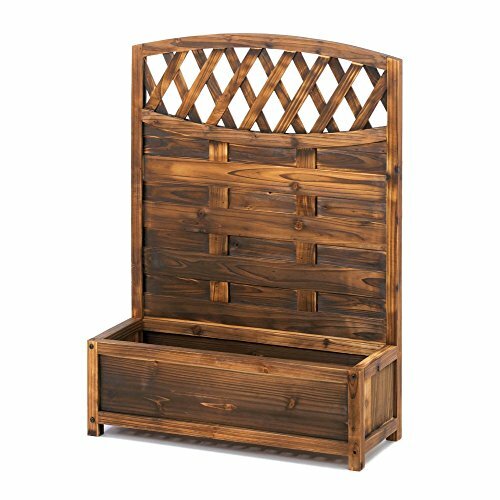 Its fir wood construction features a tall decorative back and a large rectangular planting box below that is ready to show off your green thumb. It create a dramatic showcase for your green thumb. it looks great on your patio or indoors in any room. To preserve the beauty and finish of the metal products, applying an epoxy clear coat once a year is recommended. Weight:10.2 pounds. dimensions:27.8" x 10.8" x 38". plants not included.